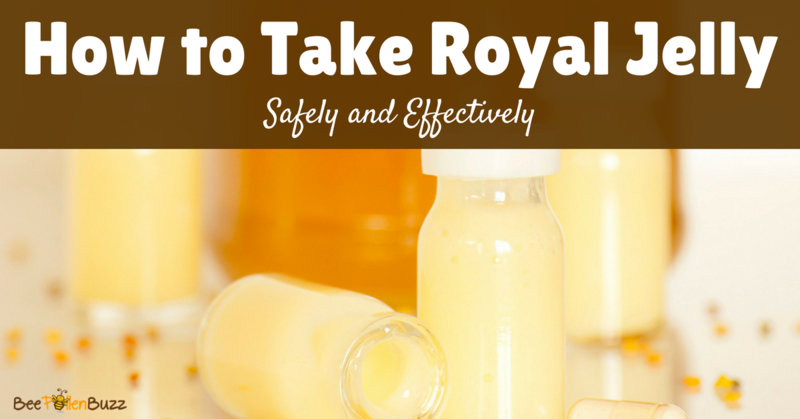 One of the most common questions I get is about how to take royal jelly safely and properly. First of all, royal jelly is most commonly found in one of three forms; - capsule, a powder or in its fresh, frozen natural state. Fresh frozen royal jelly has the least amount of processing done to it. It used to be thought that fresh royal jelly contained more of the valuable enzymes and nutrients than the freeze dried products, but recent studies now indicate that this is not the case. 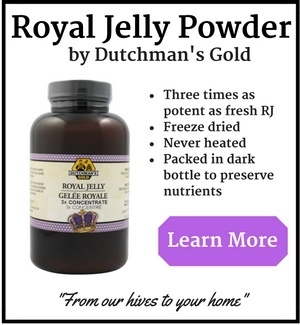 Quality freeze dried royal jelly will contain the same levels of nutrients and enzymes as fresh royal jelly. This is likely due to advances in drying technology. As a result, you can feel confident that you'll obtain the benefits of royal jelly regardless of the form you take whether it be capsules, powder or a fresh product. As a holistic nutritionist, I always recommend that when starting out with any new supplement and especially products of the hive, you should start out with very small doses to determine tolerance and to avoid side effects. Allergic reactions are rare with Royal Jelly but it is better to be safe than sorry. Any type of bad reaction is no fun so start slowly. Capsules: Start with 1 cap per day for the first week. 2 per day for the second week and then 3 per day for the third week if need be and so on. It is very potent and if you are smaller in size (under 150 lbs, then I would stop at 2 per day). Powder or Fresh Frozen Start with 1/16 to 1/8 of a teaspoon for the first week. Work up to 1/4 teaspoon. Dosage - for general health, take 1/2 tsp per day with food. WARNING - fresh royal jelly is quite bitter and has a strong taste so I suggest you mix it in some honey or jam or into a smoothie. If the royal jelly you have doesn't taste rather bitter, you don't have real royal jelly. 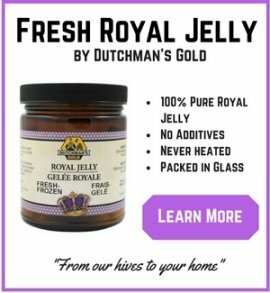 The one problem with fresh frozen royal jelly is that it is less convenient to use. It should remain frozen or cooled long term. For those of you who enjoy making protein shakes and smoothies, a powdered concentrate might be best for you. I recommend that you keep it in the fridge or at least in a cool, dry place. Powdered royal jelly doesn't taste quite as strongly as fresh royal jelly, but I still wouldn't call it 'pleasant'. It can also be mixed in honey or jam to disguise the taste. Dosage - take one 1000 mg capsule per day with food for general health. 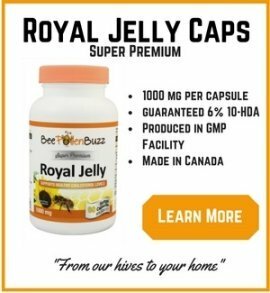 Royal jelly capsules are the most common form available. It is essentially the dried powder encapsulated and are super convenient. They are great for those who travel or who don't regularly consume smoothies. The other nice thing about capsules is that one doesn't need to worry about the strong taste of fresh royal jelly or even a powder. For treating specific health conditions, much higher doses can be taken than those recommended above based on the condition and the severity of it. I would recommend you work with a Naturopathic Doctor or someone very experienced with royal jelly when treating serious health conditions with bee products. If you are self medicating/healing, I recommend that you start out with the beginner doses listed above in the caution section and then work up to the General Health dose. Once you've established good tolerance, work your dose up slowly in small increments. For example, if you are using capsules, add 1 capsule per week until you reach your desired dose or result. Increase a powder or fresh royal jelly by 1/8 of a teaspoon per week until you reach your desired dose or result.